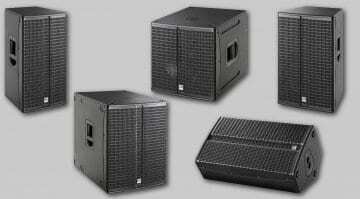 New 602 added to the LUCAS NANO range with several compact stereo PA packages. 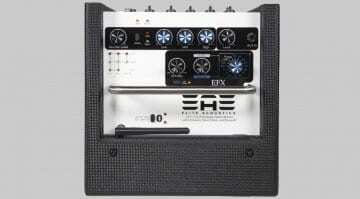 HK Audio have been busy developing PA systems for every scenario, all the way down to the most compact and portable. The LUCAS NANO 600 is their most portable system, which was joined by the 608i to include an 8-channel mixer and Bluetooth streaming functionality. HK Audio are now introducing the 602 into the family without any on-board mixing functions, to offer a cost effective system for those using external mixers. The 602 also permits the possibility to scale any LUCAS NANO system with several new portable stereo PA packages available. Essentially there are 3 variants of these portable PA products; the 600, 608i and the new 602. 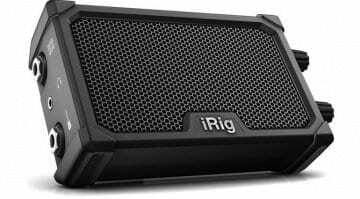 Each 460W active PA system features a single 10″ woofer and two satellites, each with a 4.5″ driver and 1″ tweeter. The two satellites can be stored on the rear of the woofer for easy transportation. Using a selection of available stands, a single system can be used on mono or in stereo as a 2.1 setup. However, two systems can be used together to provide a 10″ woofer and two satellites per side. This is where the 602 comes in. The 600 and 608i both offer some on-board mixing functionality which is really useful for the ultimate portable system. The 608i in particular looks like a strong competitor in the portable market, where digital mixing functionality and Bluetooth streaming has become common. The 602 however offers the same loudspeaker system with a single input. This has enabled HK to offer several stereo packages. The 602 can be used with either a 600 or a 608i to simply add the 2nd stereo channel. 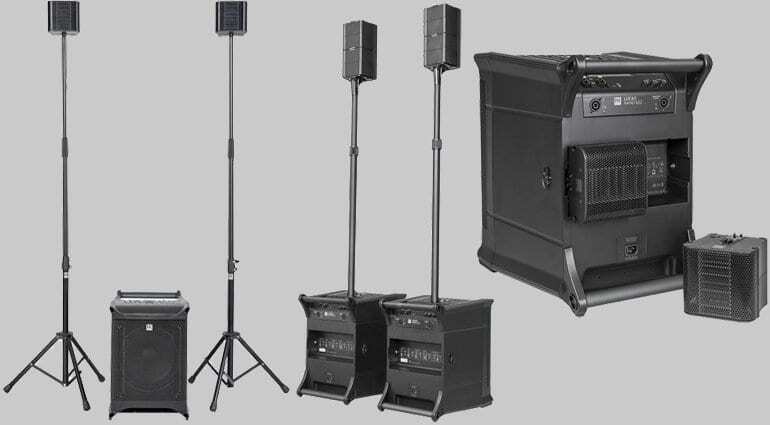 Any pair of these systems delivers 920W which HK believe is sufficient for audiences up to 200. This is fairly impressive considering the size of this system and the lollipop-style satellites. Obviously, two 602’s can be used if external mixing is going to be used. HK are calling these stereo packages the LUCAS NANO 608i/602 Twin Stereo System and the LUCAS NANO 602/602 Twin Stereo System. A single 602 system costs around 825 GBP without any stands. For more information about the 602 visit the HK webpage, or see their entire product page for all variants of this tiny yet powerful system.